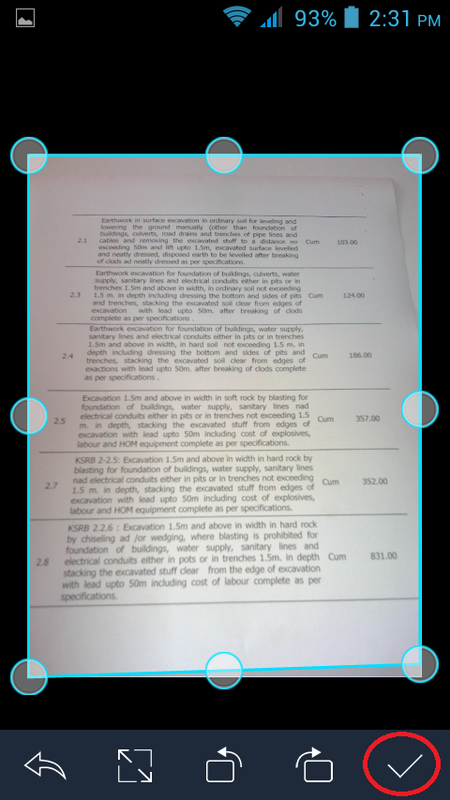 Camscanner is good way to scan your documents in your android smartphone and tablets, you cant compare with desktop scanner quality, but it is best app for phone scan, it is easy to use to and free available in google play store. 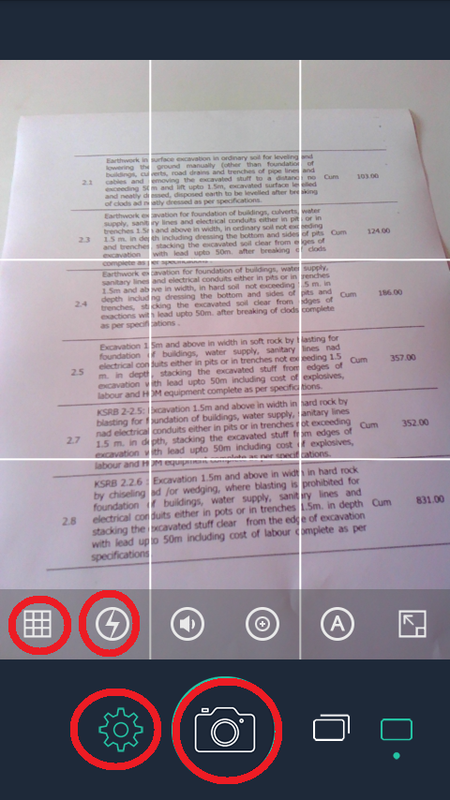 The features of this app is you can scan any kind of document, multi-page scan, auto-crap, save scan copy to system album, convert scan document into PDF, you can also manage your scan document like, add notes, add tags, copy and move, merge document, password protection, back up and restore and it also has share any sync option. Follow these to know how to use this app. 1. 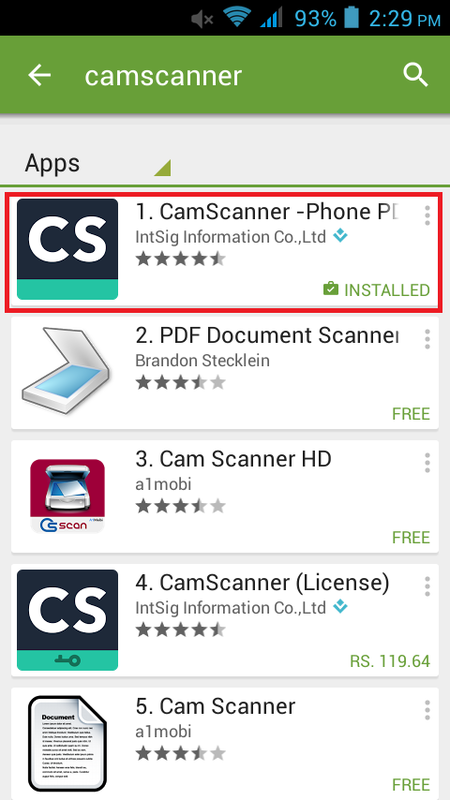 Go to play store search of “Camscanner” download and install this app in your device. 2. 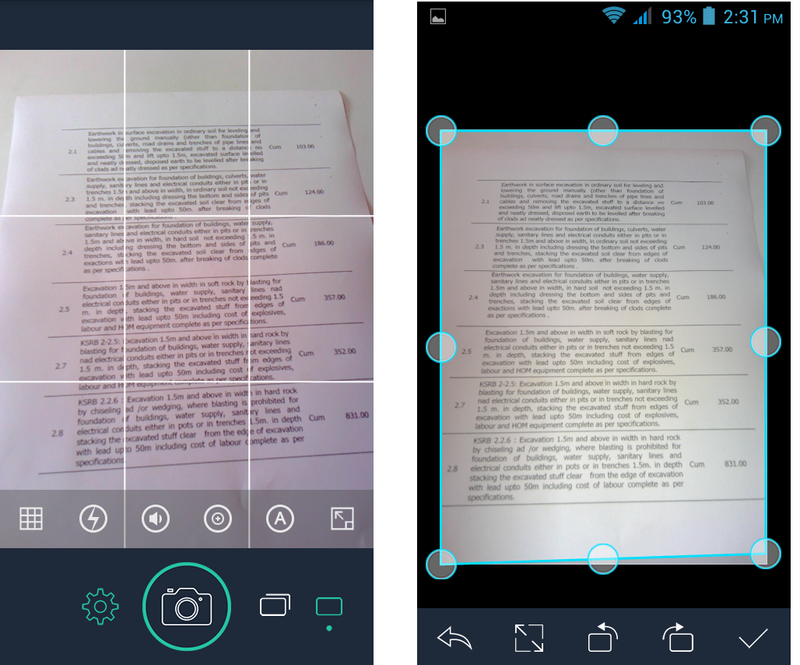 Open “Camscanner” and point on your document. Tap on “Camera icon” if you want to change some setting tap on “gear icon” you will get some option like lining, flash, sound, resolution selection. 5. 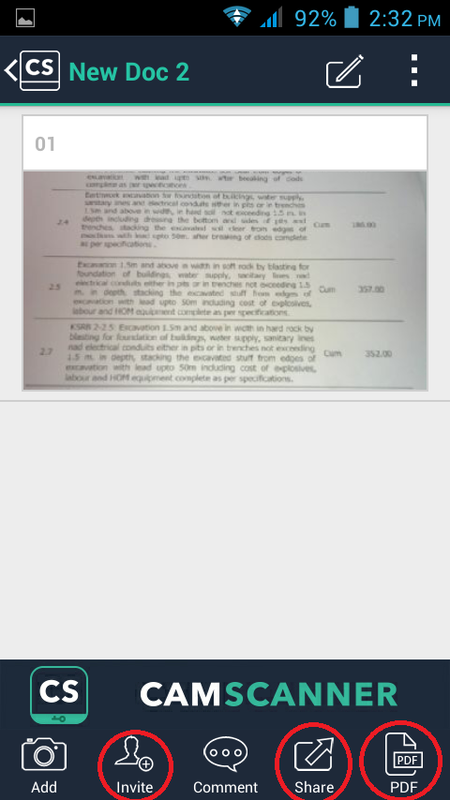 After all these things you will get the some more option on top side, auto, original, lighten…. Its better to keep original and now tap on “check mark”.